After the great opening, the forty-something Isaac is shown, at a jazz club with Tracy (Mariel Hemingway), his seventeen year-old girlfriend, his best friend Yale (Michael Murphy), and Yale’s wife Emily. Isaac reveals that his ex-wife, Jill (Meryl Streep), now living with a woman, is writing a book about their marriage, and pretentiously smokes a cigarette — a nice little touch, given what’s already known about his talent. He fusses about Tracy, as if ‘exasperated’ with her age, but is really showing the fact off, and basks within. 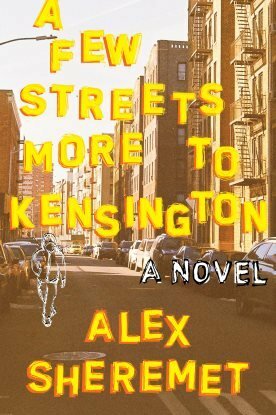 On a walk around the city, Yale reveals to Isaac that he’s having an affair, and Isaac is critical, even going as far as making fun of the mistress’s qualities, despite eventually falling for the very things that he loathes in her. Isaac and Tracy are alone, and Isaac tells her not to get hung-up on him, that he is merely a “detour” for her. This is sage advice, but also manipulative, for he knows she’s already quite in love, but refuses to nix it, anyway, because she is good-looking and comfortable. It is not a ‘big sin,’ like Yale’s cheating, but one of the many little ones he commits throughout the film, which are too small to bubble up and visibly burst, unlike Yale’s, or others’, whose missteps he could thus use against them. Later on, the two are at an art gallery, and Tracy has nothing to say about the photos. They catch Yale with his mistress, Mary (Diane Keaton), and discuss the various exhibits. Mary, like Isaac, is hypercritical (albeit in her own, more obvious way), and incredibly pretentious, liking or disliking art with no rhyme or reason, at turns hating some plexiglass sculpture, while being “in love” with a steel cube. One could see, at once, that she has no core, nor any real perspective on things, yet Yale pursues her anyway. Isaac wishes to escape, as he is both repulsed and intimidated by Mary. He makes it up to the studio of his television show, and simply cannot stand the inanity any longer, rants at the workers, then quits. Having no back-up plan, he moves out of his apartment into a cheaper one with rusty water and odd night-time noises. Later on, he runs into Mary at another club, and they go on a walk together. Isaac makes fun of her use of the word “genius,” since she’d applied it to three separate acquaintances within the span of minutes; casually admits to trying to run over his ex-wife’s mistress; and seems to be both drawn to Mary and condescending towards her inanities. They walk around until morning, and there is a great shot of the two sitting on a bench as the sun rises over the Queensboro Bridge. Suddenly full of desire, he calls Yale, as he wants to date Mary, but realizes the two are still involved despite Mary’s wish to end it. Later, he confronts Jill over her upcoming book, and says he “can’t understand” how she possibly prefers a woman over him. In a key exchange, Jill hurriedly notes that he already “knew” of her past, and Isaac admits to having changed analysts for one who supported his decision to marry Jill, despite the red flags. They are quick, almost throwaway lines, and are masked as pure comedy, but in fact reveal Isaac’s obsession with the ‘wrong’ women, which will only play itself out again with Mary. He takes his young son around to play basketball and to a “Russian tea room,” doing ‘guy’ things and making half-funny comments to him about women, to the point that we’re unsure whether he is merely bonding, or feels nervous at the prospect that he is being raised by two women, and might ‘go gay.’ In fact, it is little actions like these that continue to define Isaac throughout the film as someone who has ulterior motives even in the most commonplace things, and sympathy seems to ebb away from him the longer we see him onscreen. In a later scene, Mary, just spurned by Yale, calls Isaac, who, in a marvelous shot, is shown obscured by blinds, almost as if he doesn’t really matter, for she is simply using him as an escape from loneliness. They meet up and get caught in a rainstorm, only to wind up at a planetarium in one of the most visually arresting sequences in the film. As they seemingly walk through the cosmos, alone, they argue about mind versus feelings as mere silhouettes, with Isaac going on to manipulate her even here in order to create a ‘moment.’ He complains, for instance, that she relies on her brain too much, although clearly she does not, what with her stupid, ill-formed opinions, poor life choices, and general lunacy, and he utterly knows this, but presses on anyway, as it’ll sound nice to her ears, and he’ll eventually delude himself into believing it. Regardless, the set-up has been made, and the two are clearly being drawn together, for good or ill. Feeling perhaps even more doubtful about Tracy, Isaac tells her to go to London, and they go around Central Park in a horse-drawn carriage; another ‘romantic’ touch that nonetheless hits a false note, given the circumstances. Later, he tells Tracy her future: that she will move on, but “always think fondly” of him, which is simply more self-serving comments from Isaac, given that he knows he’s giving her exactly zero opportunity to move on. Yale and Mary break up, and Mary takes it badly. Suddenly, she barges into Isaac’s home as she’s sad about the break-up, yet she refuses to go out that night with Isaac and Tracy when he offers, after she’s calmed down. Isaac chooses to ignore her using him in this way, and further bonds with Tracy that night. As they’re playing squash, Yale encourages Isaac to date Mary, prompted via supposed comments she’s made about Isaac’s “attractiveness.” Isaac agrees, and even goes as far as saying that he’ll be the one to make her “better” under his tutelage, another small, quick, and seemingly throwaway line that is nonetheless a big red flag for the viewer. Later on, he finally sees Mary, who calls herself “trouble,” yet they kiss anyway, and thus officially begin their romance. Prompted by these new events, he breaks things off with Tracy, who sees through Isaac’s manipulation, but cries anyway. Despite telling her that the break-up is a good thing, and that she ought to look forward to London, Tracy says that’s it not to her advantage, and that it’s Isaac who wants to get out. Of course, Isaac knew she’d be heartbroken, but the time simply was never ‘right’ — until now, of course, when he could date a seemingly more mature woman. In the next scene, the couple consummates their new relationship, then goes out with Emily and Yale, while the insecure Isaac, in a hilarious scene, is busy looking over Yale’s shoulder for evidence of foul play regarding any lingering affections, only days into the relationship. After a while, they all settle into their new routines, but Yale calls Mary again, wishing to rekindle things. She refuses, but hides the phone call from Isaac, for she, herself, looks lost in thought. The four go out again, and Isaac sees Jill’s new book: Marriage, Divorce, and Selfhood. The other three friends buy a copy and walk down the street, reciting passages out loud and laughing. It is getting late, it seems, and Isaac must face certain realities, whether they are Jill’s accusations, or his own realizations — if, in fact, he ever admits to them. In a particularly damning passage, the camera pans over to Isaac’s face as his friends giddily read, and he absolutely knows he’s being fully captured and hammered. In a brilliant touch, the camera stays only on him while the voices linger, as if a death sentence is being read out, and the camera is fishing for the guilty party’s reaction. Angry, Isaac confronts Jill, yet cannot defend himself, and is merely left with more accusations. In another wonderful touch, Isaac runs back to his apartment, yet is no longer visibly upset, but merely joking about the whole experience and is likely on the cusp of mocking Jill and the others for their ‘ridiculousness.’ It is as if he’s not only swept those thoughts under the rug, but has done this many times before, and has now become quite good at it. Instead of hearing Isaac out, however, wherein the viewer’s guesses could be rejected or confirmed, Mary bluntly informs him that she’s still in love with Yale, that she’s been seeing him, and is ending their relationship. Isaac re-affirms Mary’s looniness, and offers up one of the film’s great lines: “You always think you’ll be the one who will make them act different.” That, in short, is the crux of his issue, here, and although deeper, more worrisome things come out about Isaac in the course of the film, it is really this tendency to force others against their natures that doomed his relationships with Mary and Jill. Upset, he confronts Yale in a scene of mock bravado, attacking both Yale for his inability to let Isaac know the truth, as well as Mary for her immaturity, all the while wishing he were still with her, and admitting this without quite understanding the irony. In one of the film’s strongest moments, Isaac goes off on an eloquent speech decrying people’s behavior and their lack of morals, that Yale is “too easy” on himself, that he “rationalizes” everything, and is “not honest” with himself. Yet the speech is really about Isaac, for he sees a mirror in Yale, and although Yale cluelessly calls him “perfect,” it is only because he’s had so little insight into Isaac’s character. In the next scene, Isaac is speaking into a tape recorder, noting the things that make life worth living. In the end, he unexpectedly says “Tracy’s face”. He runs through a panorama of New York City, catching Tracy in the last minute, right before she is set to depart for London for six months. He, unbelievably, tells her to not go, that she’ll likely outgrow him, then asks with self-absorption whether or not she “loves” him. Tracy is obviously upset, but says that six months means nothing, that he ought “to have a little more faith in people.” Isaac merely stands there, half-smiling, nodding, and the film is over, as if we don’t really know what happens. Yet, the viewer does, for it’s played out so many times for Isaac already, and even if Tracy won’t outgrow every part of Isaac, she will, at the very least, outgrow his manipulativeness, which is worse now than ever, while she’s too young and too intelligent to ever truly stay. This has sometimes been called an ‘illusionary’ ending, which is dead-on. Isaac, after all, runs to Tracy only when Mary leaves him. Yes, he seems to surprise even himself when he says her name into the tape recorder, but did the name come up organically, or was it borne merely out of his recent loss, and thus loneliness? The film does not answer this question, and leaves much else open-ended, but if anything, the alleged ‘love-letter’ imagery of the film must be seen in this light, for Isaac does not truly learn, and while he grows, he does so inward, deepening into his own irreality while remaining perfectly aware of this fact. Yale will now have to deal with a broken marriage. Twelve years, in his estimation, is a long time. He will have to adapt to Mary’s neuroses. The technicians at Isaac’s old TV studio will continue smoking angel dust, but the city will go on being loved by them. At the end, then, Isaac has all the advantage: he keeps the sense of ‘romance’ all the while undermining it, he has his overwhelming self-deluded moral sense, a seemingly bad novel that a big publisher nonetheless loves, and, quite possibly, an eighteen year old girlfriend waiting for him when he wants her, no matter how temporary, one-sided, and immature their relationship will be. Isaac, then, is ultimately a winner, for all the reasons that winners are so often hated. It does not concern him, however. He is not Martin Landau in Crimes and Misdemeanors, and is not evil. He is merely good at small, intoxicating delusions, and while they don’t wreck lives, they bite at them — his own, included. Yet it is simply never bad enough to stop. And what images, what pictures along the way; what romance, and its ideation, for Isaac to fall back on, when the going gets tough! I suppose, then, this is the way that most people view Manhattan, especially if they are its true-life residents. But, do they ever see what’s underneath? 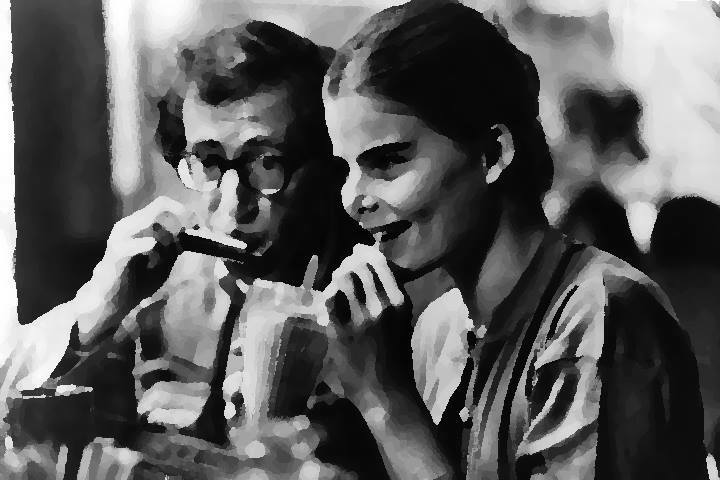 Of all uses of music in Woody’s films, it is Manhattan’s soundtrack that is most loved, even as it’s merely for the illusions the music props up — and not, of course, in the way the film’s use of music undermines its surfaces, rather than complements them. Probably the most well-known of these tracks is George Gershwin’s Rhapsody in Blue, which opens the film through the famed fireworks display, with different sections of the song appearing at the end of the film, as well, to help tie in some of the themes. Yet while the song helps prop up the film’s illusions, many other Gershwin tracks do the exact opposite. For example, Let’s Call the Whole Thing Off ominously plays as Isaac and Mary meet for the second time, prior to any real romance between the two, Oh, Lady, Be Good! ends quite suddenly when Isaac’s friends spot Jill’s book, and But Not for Me closes the film as Isaac and Tracy meet for the last time, thus subverting Tracy’s words and the film’s supposed ambiguity. Of course, none of these titles are clear from the music, itself, and are not really necessary for a much deeper understanding of the film, but it is one of those famed ‘tricks’ and diversions that Allen admits to putting into his films, leading the viewer through various clues into a conclusion from which he himself, will ultimately dissent. In Joel Bocko’s review, he says that to depict the “idealized metropolis,” Woody, “instead of using the form to reinforce the content…does the reverse, letting the look and feel of the film offset and balance the story and characters.” This is quite perceptive, and absolutely true, but not, perhaps, for the reasons Bocko states, insisting that while Yale is self-justifying, “Isaac tries to hold himself to a higher standard.” I disagree, for while Isaac may be harmless, he is the film’s chief manipulator, and the worst for it, too, for he foists the illusion of his own good and thus clubs others over the head with it to further this feeling within himself. His standards have not “rubbed off” at all, but perhaps their illusion has, for Tracy is just as self-deluding (or merely naive) as he is. In fact, Graeme Clark notes how Allen creates this “distance” between the viewer and what is on screen, for it is the film that ultimately lampoons its inhabitants. Matt Ford points out that Manhattan has a “soap-opera plotline,” yet it succeeds anyway, for the unique way it is treated. This is true, as well as inviting comparisons to the similar Annie Hall. Yet I’d argue that Manhattan is an even better film, for while the core is more or less the same — a dissection of people’s flaws and the effect upon relationships, often moved by jokes and wit — this film has deeper situations, deeper dialogue, better and more daring visuals, and fuller characters. Compare, for instance, the car scene in Annie Hall to the one here. In the earlier film, Annie is merely shown to be a bad driver, and the entire sequence is subjugated towards ‘the joke.’ It is funny, it is good, but it is more reminiscent of Woody’s earlier work than his mature drama. In Manhattan, however, there is a car scene in which Emily and Yale are simply driving, and the camera stays a good ten to fifteen feet away, as if someone is eavesdropping on Yale, or following him, in the midst of his lying. It is a paranoia that at once undermines the lush visuals, as well as more deeply characterizes Yale by showing his unease, a multi-layered technique that Woody Allen probably could not have thought of a mere two or three years before. 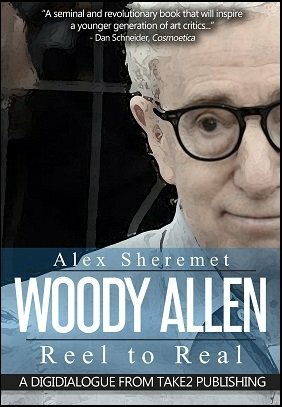 There are deeper things Woody says about art — “talent is luck” and the like — and a more complex look at manipulation within a wider, more diverse range of characters, with a large number of poetic moments interspersed, compared to Annie Hall’s more strict treatment of ‘the relationship’ and one man’s relation to it. Then there are the visuals: the bridge scene, the blinds obscuring Isaac, the few stunning minutes at the planetarium, fireworks, the final panorama… In short, if Annie Hall was a great early work, slightly rough around the edges, Manhattan is a more developed one, complete with a deeper — and, apparently, more bewildering — notion of itself that, to this day, still tricks viewers into accepting its illusions.